This is a developed facility with paved parking, including several pull-through parking spaces for vehicles with trailers. 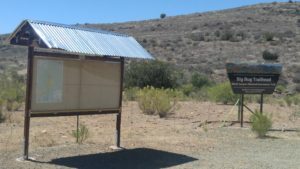 There are covered picnic tables (ramadas), restrooms, information kiosk and railings to tether horses. 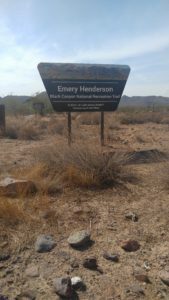 From Interstate 17: Take exit 232, turn west on New River Road, drive approximately 3.3 miles, look for sign on the right, turn right into Emery Henderson driveway. 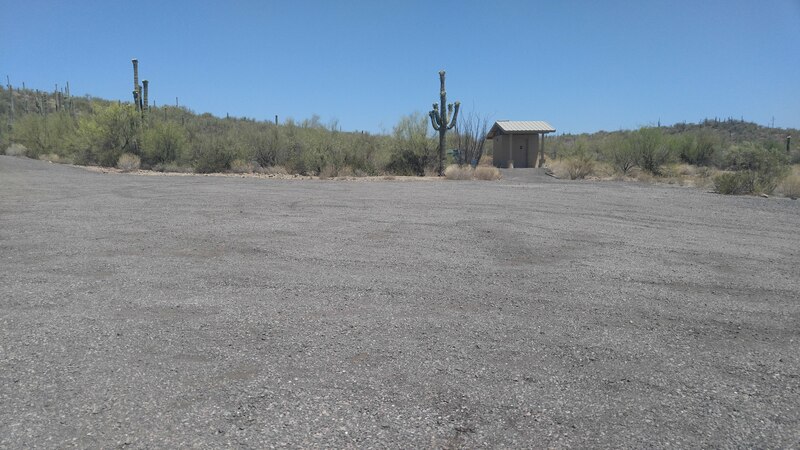 This is presently an undeveloped trailhead with limited parking. 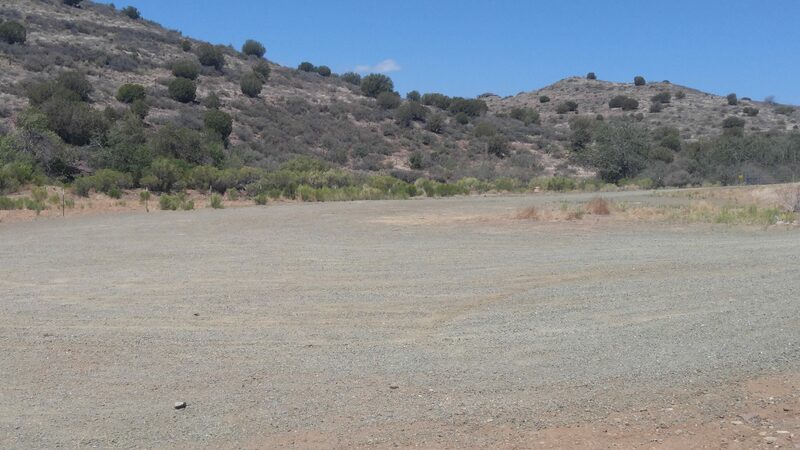 However there is ample parking within easy walking distance a short way up the side road. 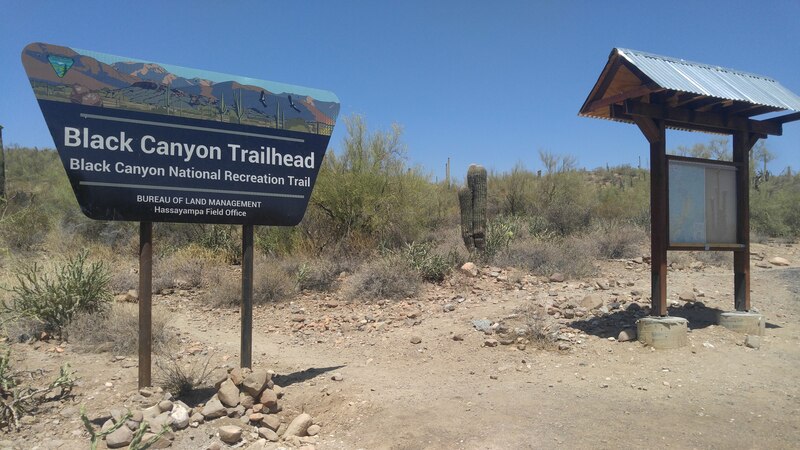 Trailhead signs are occasionally vandalized and removed, so it will be necessary to check your odometer and watch carefully for the side road to the right. 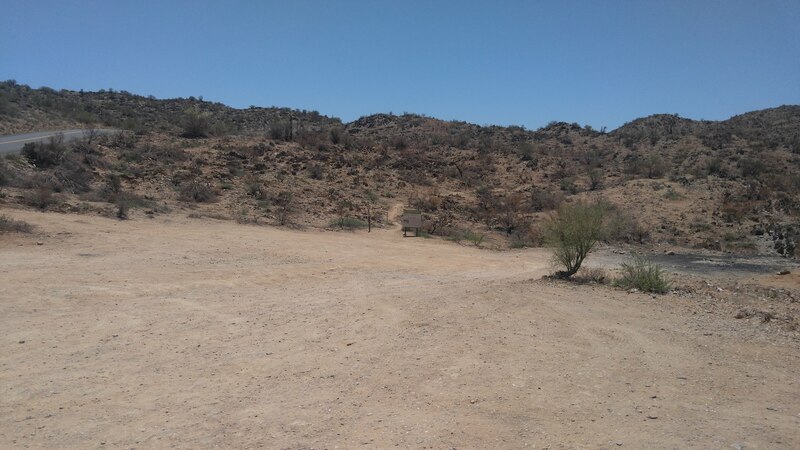 From Interstate 17: Take exit 236 (Table Mesa Rd), turn west then north on the frontage road, drive approximately 1.65 miles to the “Y” and bear left, drive approximately 1.38 miles and look for the side road on the right. 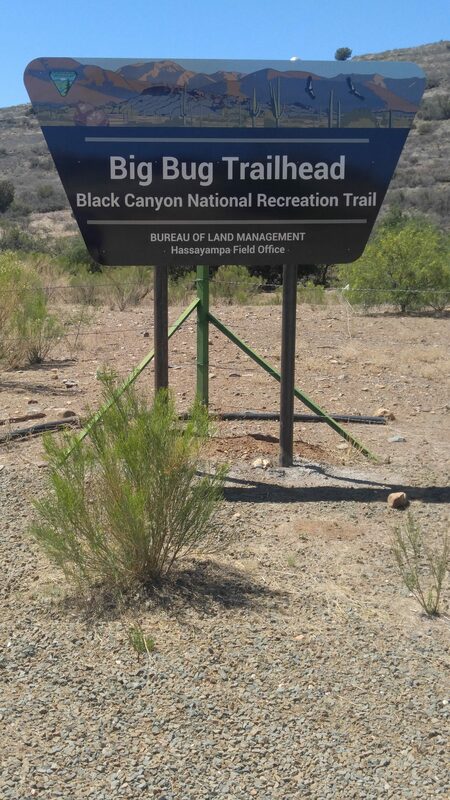 Turn onto this road and the trailhead is immediately to the left. Note: This is not a trailhead and the access road is not maintained beyond 43rdAve. 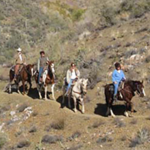 Low clearance vehicles should not attempt the last fifteen hundred feet. 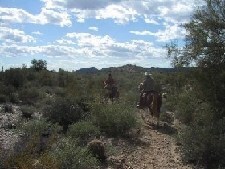 This road is on Arizona State Land and an annual use permit is required to be on Arizona State Lands. 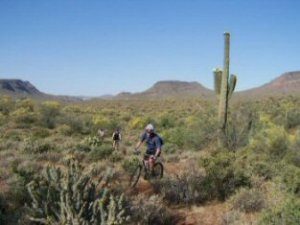 It is highly recommended that a permit be obtained prior to entering Arizona State Lands. 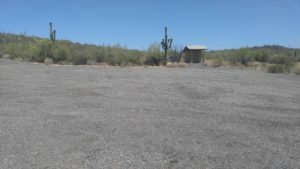 Permits may be obtained from the Arizona State Land Office in Phoenix at 602-364-2753, or from the Bureau of Land Management at 602-417-9300. 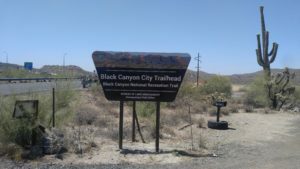 From I-17: With the Arizona State Land permit in possession, take exit 232, turn west on New River Road, drive approximately .1 mile to 42nd Ave (sign is on the right). You can park here if you wish, it is one mile to the trail, or drive part way. Vandalism is possible anywhere, so exercise judgment. Drive north on 42nd Ave, the road bends left, then continue straight for approximately .6 mile to the intersection, a gas pipeline easement. You should not drive further with a low clearance vehicle. Continue straight on the same road for .4 mile (rough and rutted) to the next intersection, where you must park your vehicle. 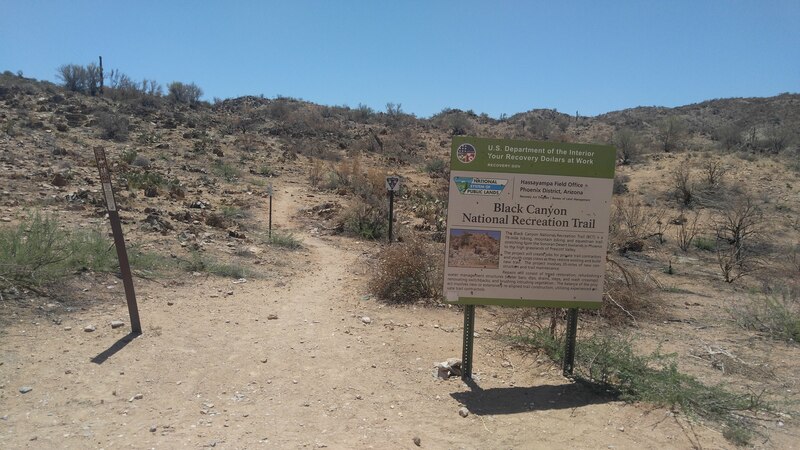 The Black Canyon Trail is at the bottom of this short hill, to the right, and is non-motorized. 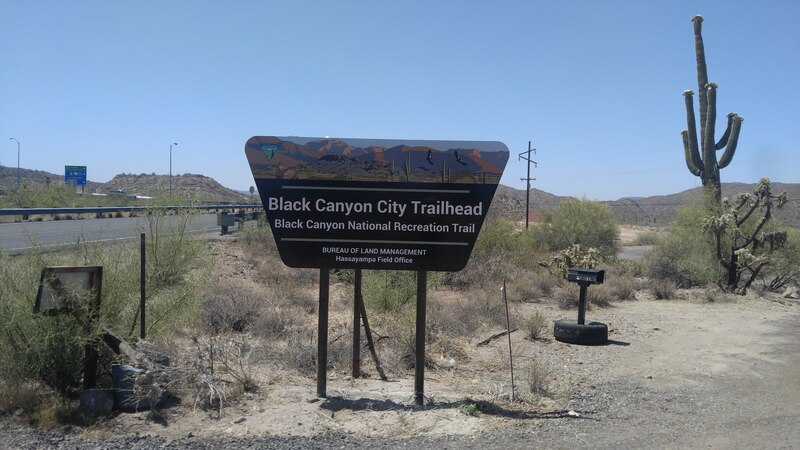 The Black Canyon City Trailhead has ample parking space for cars and vehicles with trailers, and a restroom. 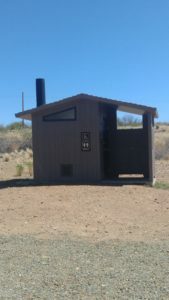 The restroom is maintained by volunteers. Please help keep it clean. Bring your own drinking water as the water in the restroom is not suitable for drinking. No GPS coordinates, using NAD27 Datum: camping is allowed. 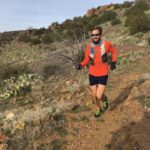 Directions: From Interstate 17, either direction; take exit 242 (Black Canyon City and Rock Springs), turn west, proceed to stop sign, turn north (right) on the frontage road, drive about 300 ft to the first road on the left, Warner Rd, and turn left. Drive about 1300 ft to the first cross road, turn right and proceed to the parking area on the right near the end of the road, about 400 ft. The Gloriana Trailhead has a parking area that will accommodate a small number of trailers. No facilities available and no camping allowed. 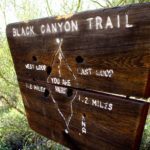 From I-17 either direction, take exit 248 (Bumble Bee, Crown King) and proceed approximately 1/2 mile to the trailhead on the left. 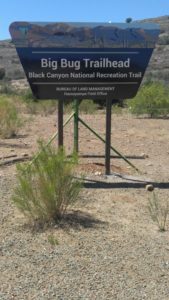 The Big Bug Trailhead has a large gravel parking area with ample room for several trailers. From Interstate 17, either direction: take exit 262 (Hwy 69) north toward Prescott, AZ. Proceed approximately 4.2 miles to the driveway entrance on the west side of the highway. There is now signage on both sides of the highway identifying the trailhead. A vault toilet is maintained by volunteers. Please help keep it clean! 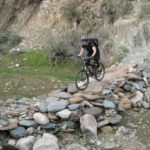 Camping is not allowed at the trailhead parking areas.